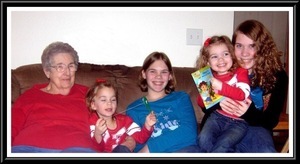 Provide comfort for the family of Mary Davis with a meaningful gesture of sympathy. 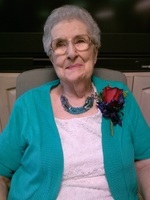 Mary Alice Davis passed into the presence of her Savior on Friday, February 8, at the age of 94. She was born in Greene County, Missouri August 20, 1924 to Oscar R. and Ella E. (Putman) Farrell, one of 6 children. She married Vernon Davis, of Springfield, in 1949, and they were married 64 years before his death in 2013. She is survived by her two children, Marsha (Scott) Blair of Springfield and Ralph (Gail) Davis of Lakeland, FL. She is also survived by her grandsons, Andrew (Jen) Blair, Brian Davis, and Kenny (Rachel) Davis. 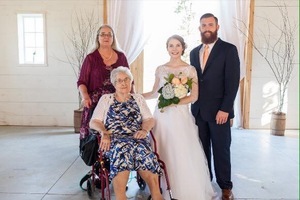 She was also "Granny" to 7 great-grandchildren: Keturah (Micah) Bruner, Hannah Blair, Samarah Blair, Reynah Blair, Seth Davis, Cole Davis, and Katlyn Davis. Her brother Don (Karolyn) Farrell of Fayetteville, AR survives her; her parents, and her siblings Thelma Atkinson, Dorothy Crews, Ruby Jean Kremeier, and Kenneth Farrell, preceded her in death. 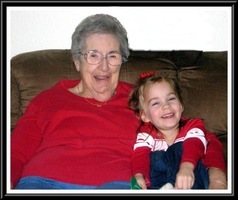 She accepted the Lord Jesus as her Savior as a child, and was in fellowship at Southeast Bible Chapel for several years until poor health kept her at home. Visitation will be Tuesday, February 12, from 6-8 and the funeral will be on Wednesday, February 13 at 11:00 AM; both will be held at Greenlawn North Funeral Home in Springfield, Missouri. To plant a memorial tree in honor of Mary Alice Davis, please visit our Heartfelt Sympathies Store.